All children ages three and four are invited to participate in a special Shabbat program known as Gan Katan, Little Kindergarten. 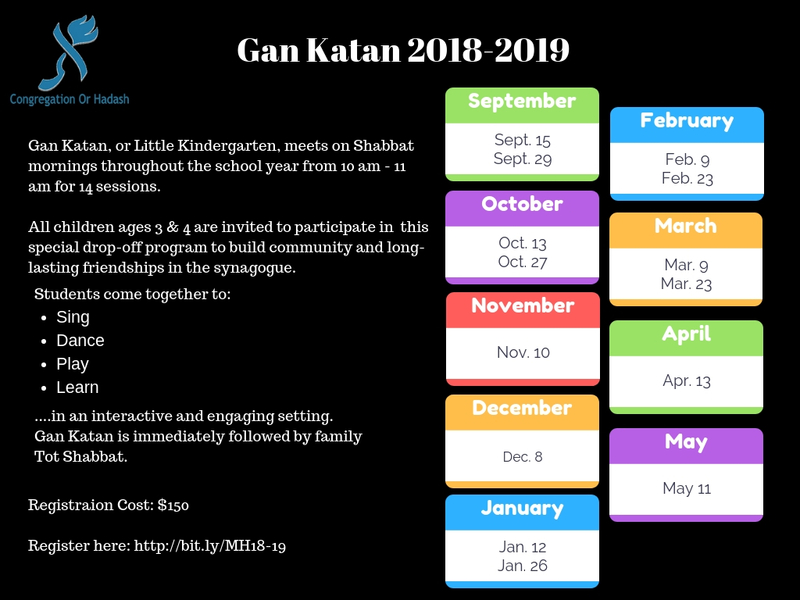 Gan Katan meets from 10:00 am-11:00 am for 14 sessions throughout the school year. 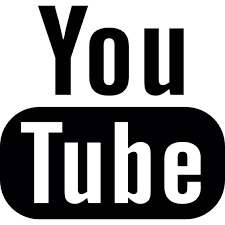 Students come together to sing, dance, play, and learn in an interactive and engaging setting. 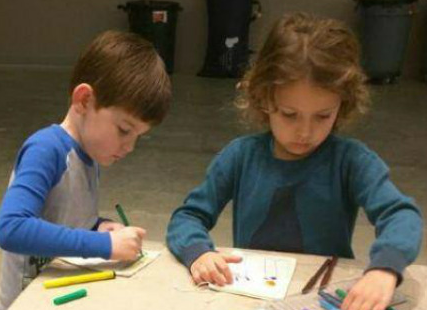 This is a drop-off program which allows children to build community and long-lasting friendships with their synagogue friends. To register for Gan Katan, click here. ->> Download a copy of the 2018-2019 Gan Katan calendar, click here. For more information about Gan Katan, please contact Rachel Herman.